Why are Savannah Slamma’s the wheel for you? 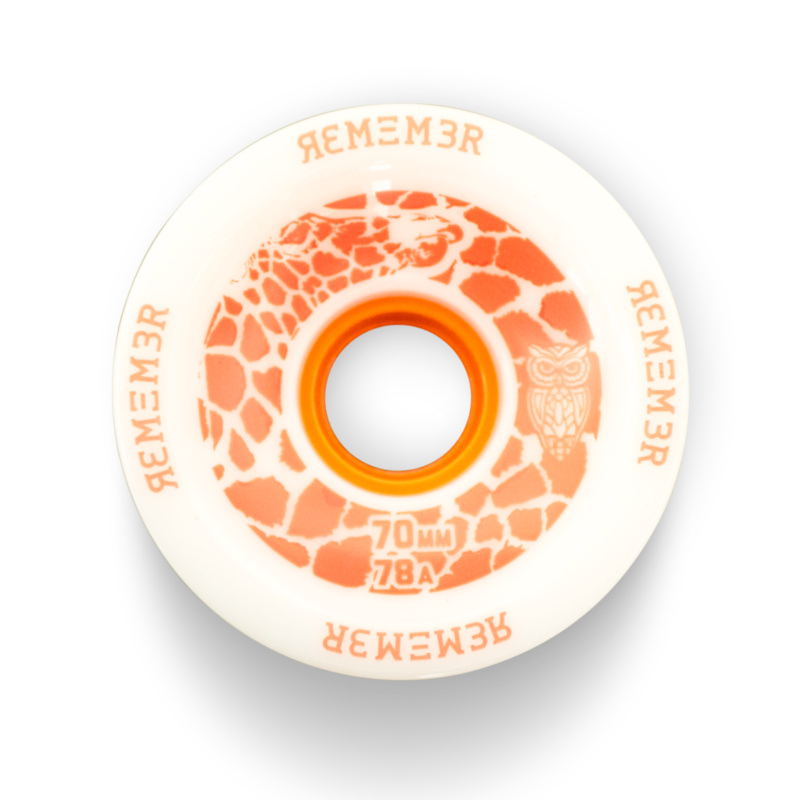 Remember Collective 70mm Savannah Slamma Longboard Wheels are square lipped freeride wheels (but not a bad cruiser wheel too!). 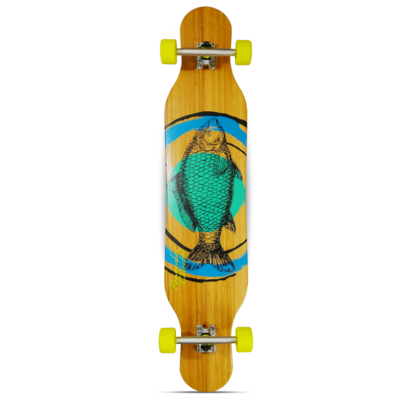 The grippyness fits into our lineup between the Hoot and the Farley. 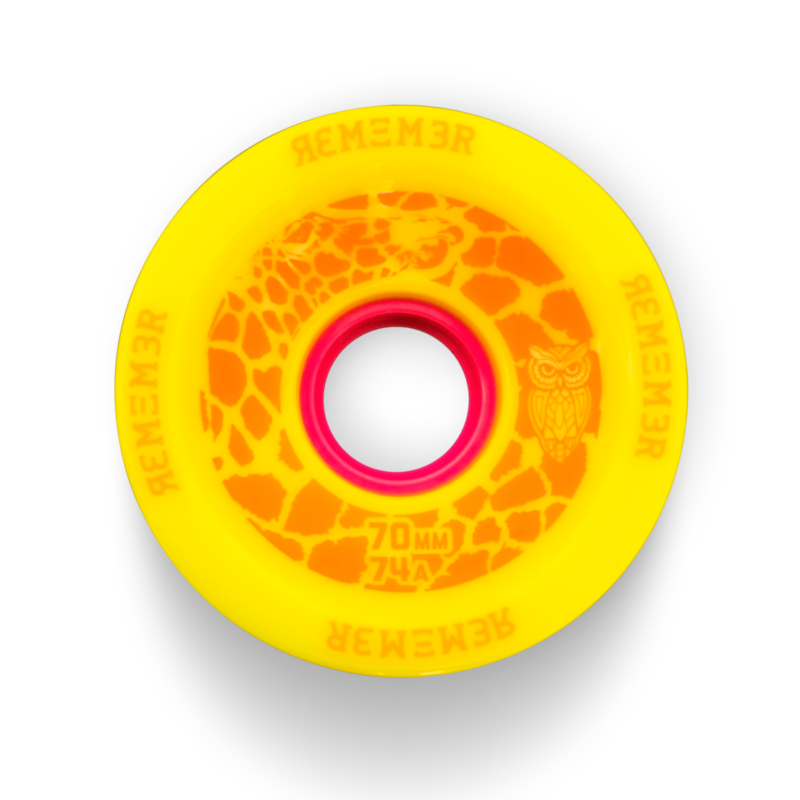 The Savannah Slamma is 70mm tall with an initial contact patch of 47mm. The core is offset and stiffens the inner lip for a smooth release. 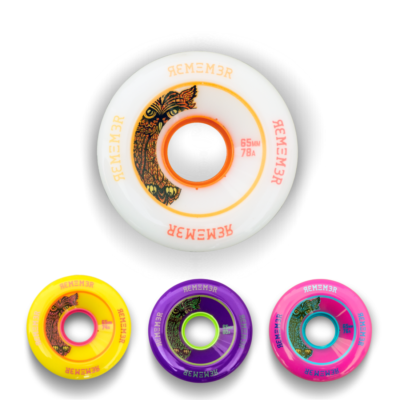 The Savannah Slamma was our first “skin on” wheel, meaning that straight out of the package, they are great for skating downhill and gripping turns. 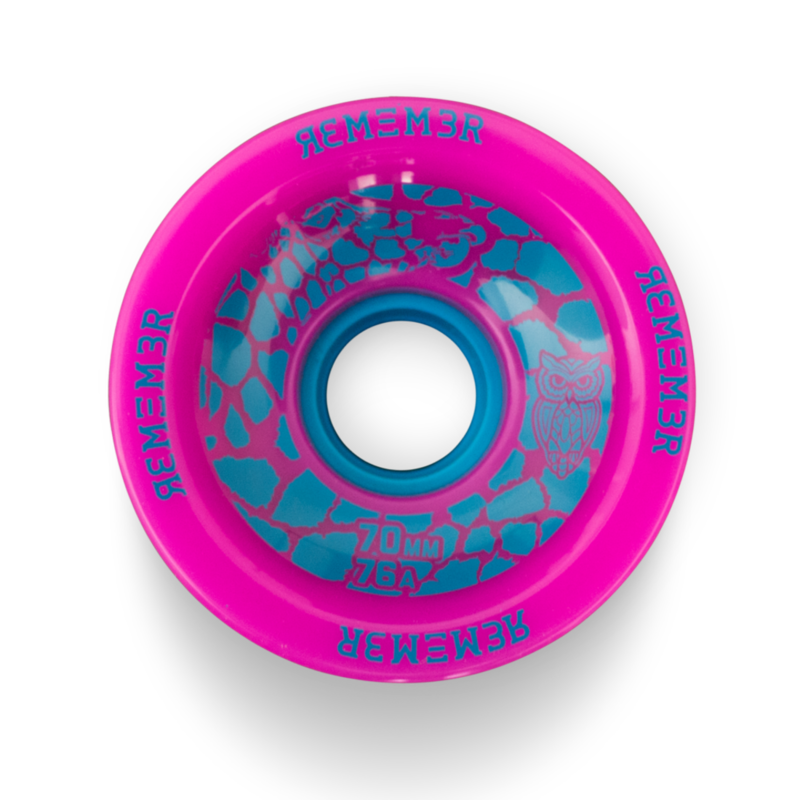 Once the skin wears off, they are amazing freeride wheels. 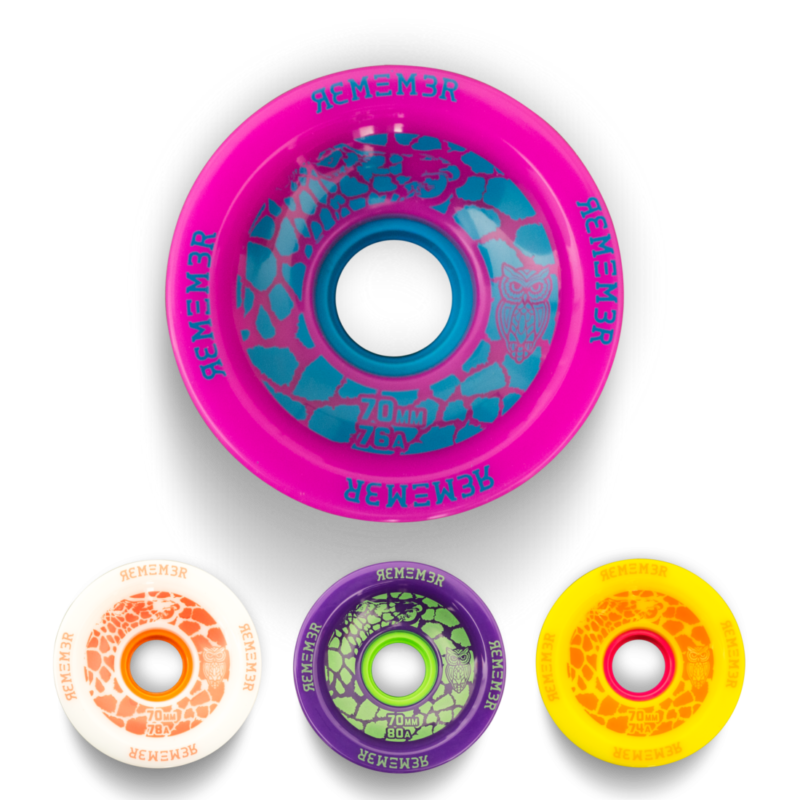 The square lip profile makes them more predictable and controllable for freeriding at higher speeds. 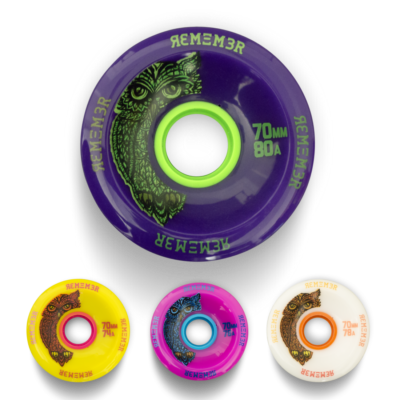 With Remember Collective high rebound urethane, you will slide with unmatched ease. 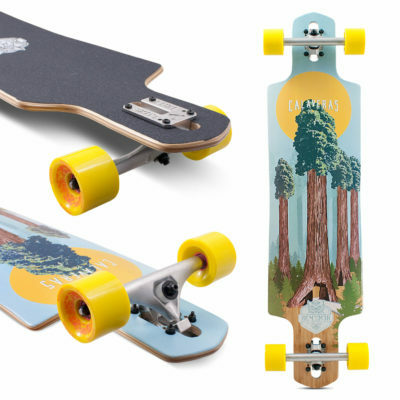 Go ahead grab a set and bust slides at higher speeds way beyond what your friends are doing. That’s one of the reasons Savannah Slammas are a team favorite.